The line is distinguished by its nobility, the ornaments by their subtlety. 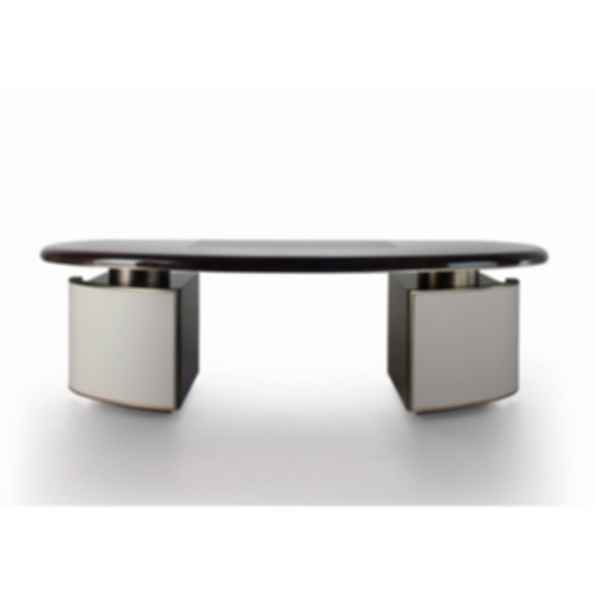 The Haussmann desk is made of varnished oak wood with a matt or glossy finish. The metal part is in bronze, chrome or dark chrome finish, with a top covered with leather (CATB or vegetable leather) topstitched or wood. Drawers are in front.